If you could write a page in Penn’s history, what would you include? What story would you tell? What would be your purpose? Perhaps to inspire with a story of action and service, or to educate with tales of scholarly research… As a resident of New College House, you get to answer these questions and more as you join a community in the first College House built on campus since 1972. Your new year in NCH begins even before you arrive on campus, when you receive electronic greetings from the faculty, staff, and student leaders of NCH. You soon realize how many resources are available to you as you prepare for Move-In: Meliora Ambassadors, upperclassmen who help to welcome and support freshmen in a peer-mentor role, RAs and GAs, who help connect students throughout the house, and the faculty members and house office staff who help you navigate life at Penn. You may even be learning about your new neighbors in 2XP, our first-ever Program Community specifically for sophomores! Venturing out of the comforts of your suite, you soon discover plenty of spaces to hang out with friends or study. Your GA greets you in the hall and reminds you about a floor meeting later that day. At the floor meeting, you meet the rest of your neighbors. You might be nervous at first, but soon realize that you have a lot in common with some students and can learn something new from others. Your GA is excited about all of the ways students can get involved in NCH. One of the sophomores, a Meliora Ambassador, mentions a cooking demonstration they planned for the first-year students, and a junior talks about how much they’re looking forward to the first floor brunch of the year. You’re looking forward to joining House Council, especially because it’s a chance to put your leadership experience to use. After a full day of meeting new people and making your new home, it’s time for a dinner break. You look for a place to sit and Faculty Director Cam Grey invites you to join him and his family. As you sit with Cam, his wife Ann and their children, you not only learn about Cam’s expertise in Roman history and some of the newest undergraduate research projects, but are invited to an energetic game of tag by their daughter! You get the feeling that this is the first of many conversations both thoughtful and entertaining. Cam tells you about some upcoming house events, like a house-wide cook-out, architecture tour of Old City and dessert theater featuring cultural performances, and you know you’re about to be a part of some cool opportunities in your new home. While hanging out with some friends in the House living room, an RA from another floor stops in to chat. She was returning from orchestra rehearsal, which gets the group talking about their different musical talents. You suggest getting a group together to jam in the practice room. You ask the RA about hosting a coffeehouse event for student performers and she thinks it’s a great idea. You set up a time to meet next week to start planning. By the end of the year, you’re proud your idea evolved into a full-fledged performance series. That’s not your only contribution to the New College House story: the Gala that you helped plan with House Council was a highlight of Fall. You even brought what you’ve learned about leadership to the House service initiative, helping to mentor local middle school students. You’re glad you went to those House workshops on time management, study skills and healthy living—the insight helped you stay on track personally and academically. You’re looking forward to the summer months to work on a research project you recently started and to Fall semester when you will return to New College House. 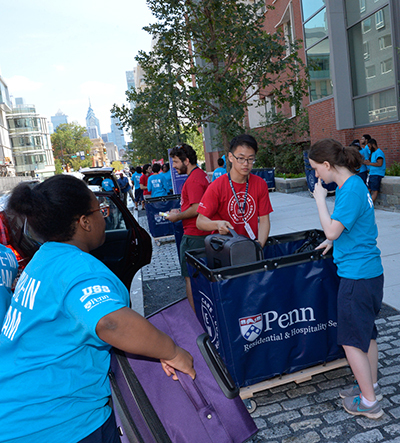 Empowered and motivated, you are full of ideas for the next, new chapter in the story of your new home at Penn. Coat of Arms and House Motto: Semper ad meliora conveys the House's goal to strive "always toward better things" as they engage with global issues, environmental sustainability, and research toward a better tomorrow. What does is mean to be a "global citizen?" How do universities encourage engagement with communities throughout the world? What roles do universities play in the cities they call home? NCH residents have explored these questions and more through dialogue each Spring at Global Citizenship Forum. Each event features a panel of thought-leaders who share their perspectives and invite participants to question, critique and consider new approaches to an ever-changing concept that affects us all. NCH residents come together each Sunday night in the homes of our house faculty members to engage in conversations about a range of local and global topics. NCHers sip a warm beverage and share cookies (or other snacks) over discussions about everything from international political climate and free speech to wellness and college life. 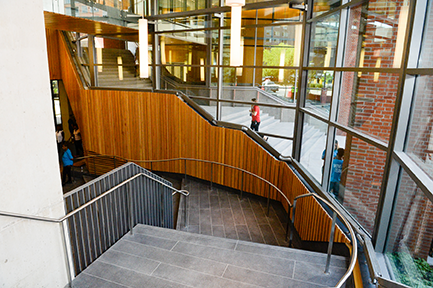 The discussion topic "pops up" in residents' inboxes each week, and residents enjoy "popping up" to support each other and connect with their house faculty. This student-designed community will create a science-based project incorporating the majors and interests of all the people on the floor. Through uniting a variety of majors, we will endeavor to create an interdisciplinary project which shows the reality of scientific endeavors: in the real world, projects don't stay isolated in tidy academic subfields. 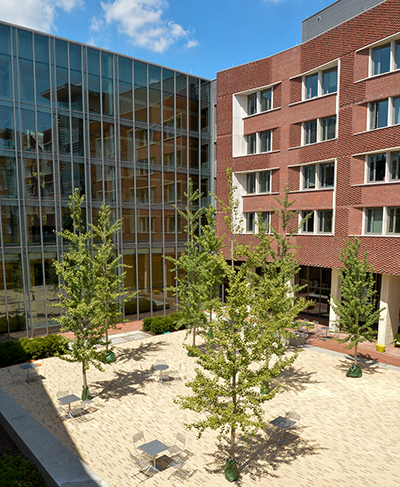 In 2XP, sophomores will be able to live together in a community where they can engage in activities that support their unique needs, challenge themselves to build on their experiences, and celebrate the knowledge and talents they bring to New College House. We will support each other through reflective conversations during exclusive study breaks, dinner, and events featuring special guests from campus resources. We will challenge each other through leadership development activities and trainings, mentorship initiatives, and civic engagement projects.